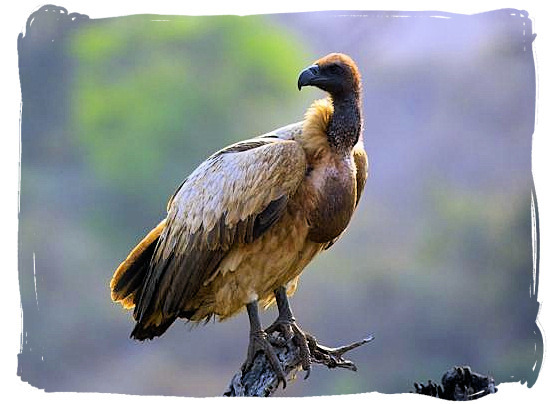 Named after the magnificent eagle of the same name, Bateleur camp is Situated approximately 40km south west of Shingwedzi on the banks of the Mashokwe stream, amidstbeautiful Mopani savannah country in the north of the Kruger National Park. 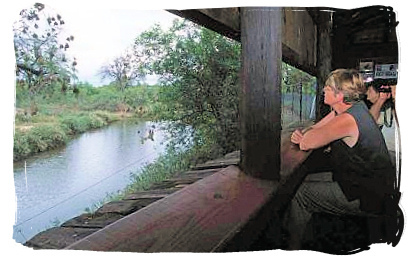 Built in the 1980s, it is the oldest and smallest of the bushveld camps in the Park. As part of a relatively new concept of building smaller more luxurious camps, catering for a small number of guests, It is a private and intimate camp, with a unique atmosphere and superb game viewing. Only residents are allowed in the camp and on the access roads to the camp, which will particularly suit people who like watching birds undisturbed and those who prefer to be alone with nature. 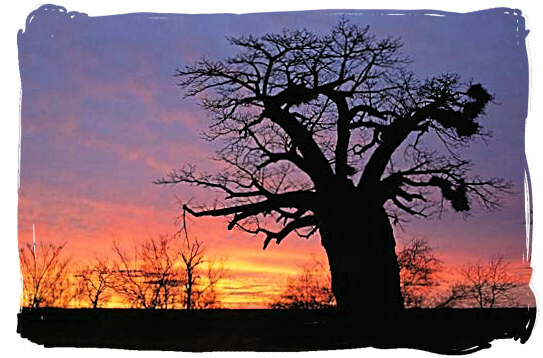 The variety of Flora that can be found in the Bateleur camp region, includes the Natal Mahogany tree, Brack Thorn Mustard Tree, Sausage Tree, Apple Leaf, Mixed Bushwillow, Silver Cluster Leaf, Round Leafed Teak, Buffalothorn, Sycamore Fig, Magic Guarri, Marula, Jackalberry, Leadwood, Mopane, Wilddate Palm, Weeping Boer Bean, reeds and mixed Acacias. 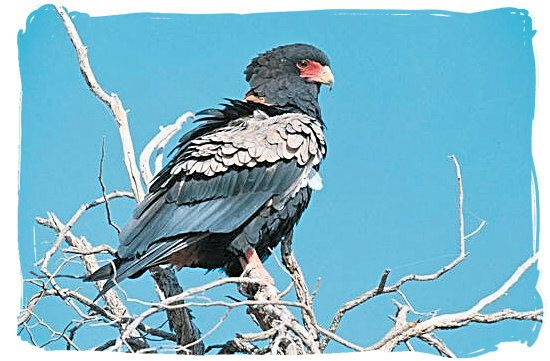 Bateleur camp offers excellent game viewing. In addition to a floodlight that has been fitted for nocturnal viewing, there is a game viewing hide inside the camp, overlooking a permanent waterhole and quite often you can see Elephants enjoying a bath. 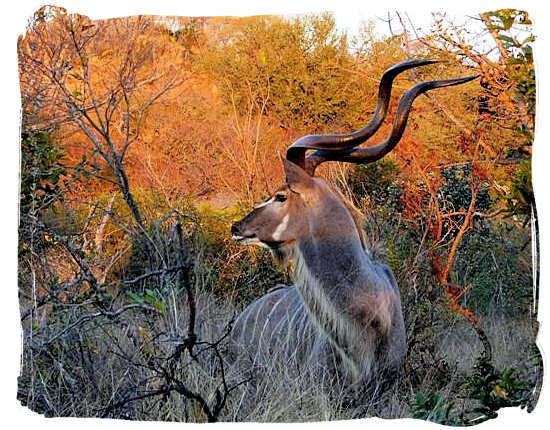 Animals often to be seen around Bateleur include the Eland, Nyala, Elephant and the rare Tsessebe, an attraction for anyone interested in the shy antelope species. Two dams, Silwervis and Rooibosrand, are within close range of the camp and are restricted to the residents of Bateleur camp. They offer a large variety of game to be spotted, including Hippo, Crocodile, Bushbuck and Nyala along with fantastic birdlife and you may well be rewarded by spotting one of the "Big 5". Other species to look for in this area are Blue Wildebeest (Gnu), Burchell's Zebra, and Buffalo amongst others. The rest camps in the Kruger National Park in general offer superb birding opportunities. The advantage of the bushveld camps including Bateleur camp is that there is less disturbance in the area by other visitors. Silvervis dam in particular is a great spot for birders, with spectacular birdlife all year round. Species to look for are the Greater Painted Snipe, the White-backed Duck, the Osprey and of course the Bateleur Eagle to name but a few. Go to SANParks.org to view a map of the Kruger National Park showing the locationof Bateleur camp, then click on the map to enlarge. Go to SANParks.org to view a map of the Bateleur bushbeld camp showing the lay out of the camp itself, then click on the map to enlarge. 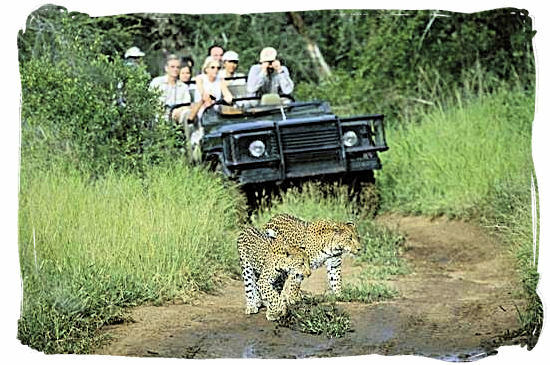 The Bushveld camps in the Kruger National Park have been kept small and intimate, offering guests a private and exclusive bushveld experience. Facilities are limited to those necessary for a small group of people. These include Information and Reception, Public Telephones, and a Mini-shop stocking basic items such as firewood, ice and phone cards, but no food. 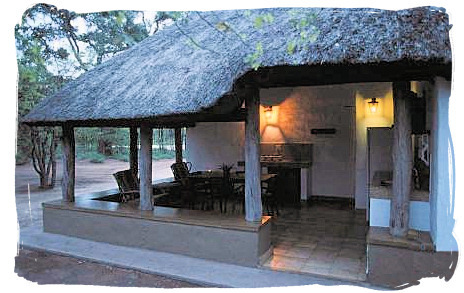 Major camp facilities are available at the nearest main rest camp, which is Shingwedzi. no foodstuffs such as meat available. Conference Facilities- for 30 persons in lecture configuration. Available equipment includes projection screen, white board, TV with DSTV, video recorder, overhead projector and slide projector. Boma "Braai" (barbecue) with DSTV, please supply own food and drinks - we will see to the rest. Bateleur bushveld camp is the best equipped of the bushveld camps in the Kruger National Park, offering seven fully equipped luxury cottages which are serviced daily. The cottages have white washed walls and are thoughtfully arranged in a grove of well-established trees on the banks of the Mashokwe river. There are barbecue facilities at each cottage and at the recreation centre. All accommodation units are serviced daily and supplied with bedding, towels and soap. Each unit has its own “braai” (barbecue) facilities and wood can be bought from the mini shop at reception. Relax in the Bateleur bushveld camp game viewing hide, which overlooks a waterhole and watch the animals coming for a drink. Go on a night drive and take part in the nocturnal activities of the bushveld’s nightlife. Explore the bush on foot on a guided bushwalk accompanied by well trained and armed game rangers. 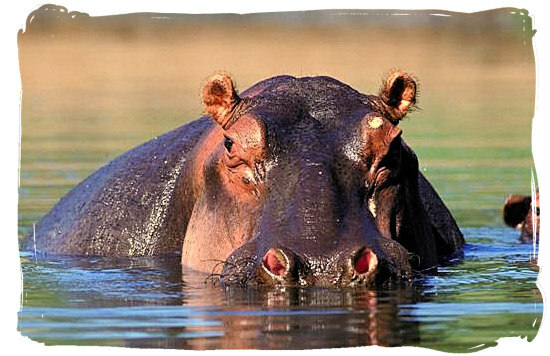 Track Rhino, Elephant and Lion on foot and learn and observe fascinating facts about the African bush. 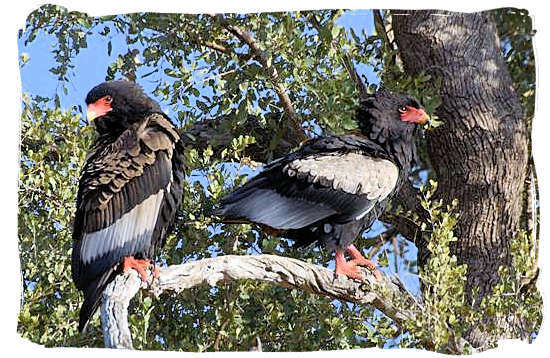 Bateleur’s guests may also take part in the activities available at Shingwedzi, the nearest main rest camp. The airport closest to Bateleur bushveld camp is Gateway Airport, which is situated approximately 3km from the Phalaborwa entrance into the Kruger National Park. There are daily scheduled flights between Gateway and OR Tambo International Airport in Johannesburg. From Phalaborwa gate to Bateleur camp is about 135km by road if one travels inside the Kruger National Park. With a speed limit of 50km/hr on the main road inside the Park, it will take you about three hours to reach the camp. Travelling from Johannesburg or Pretoria, take the N1 toll-road to Polokwane (Pietersburg). 40km before Polokwane turn right onto the R71 and head for Tzaneen. After Tzaneen, continue with the R71 towards Phalaborwa and the gate. Allow between 6 to 7 hours for the trip to the gate. Bateleur camp is about 135km away from the gate. With a speed limit of 50km/hr on the main road inside the Park, you should allow a further 3 hours for the drive to the camp; however if you want to enjoy the game viewing possibilities give yourself more time! 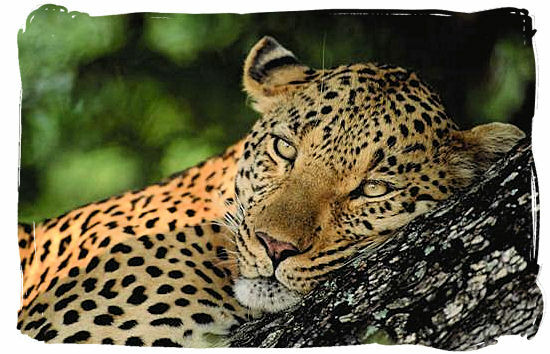 Go to SANParks.org to view a monthly calendar with accommodation availability details of Bateleur camp. Go to SANParks.org to book your reservation for the Bateleur bushveld camp in the Kruger National Park on the official reservations page of the South African NationalPark's website. Go to SANParks.org to view the tariffs applicable for the Bateleur bushveld camp on the official tariff page of the South African National Parks (SANparks) website. 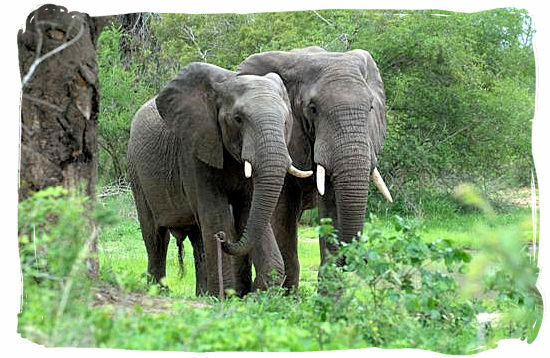 10 days all inclusive 5 star luxury Elephant safari, covering a variety of wildlife areas and lodges across South Africa.